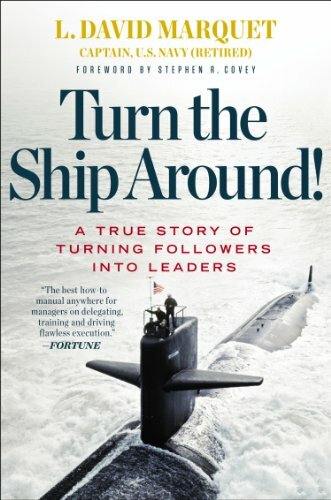 Turn the Ship Around is Navy captain David Marquet’s true story about leadership onboard the Santa Fe, a nuclear-powered submarine. Facing the high-stress environment of a sub where there’s little margin for error, he was determined to reverse the trends he found on the Santa Fe: poor morale, poor performance, and the worst retention rate in the fleet. Marquet flipped the leadership model on its head and pushed for leadership at every level and the Santa Fe skyrocketed from worst to first in the fleet by challenging the U.S. Navy’s traditional leader-follower approach.